Pre-built PCs have a bad reputation since they’re often more expensive than building it yourself. However for those of us who don’t want to go through the hassle of piecing together a $1,000 machine without prior experience, it’s not the worst idea. 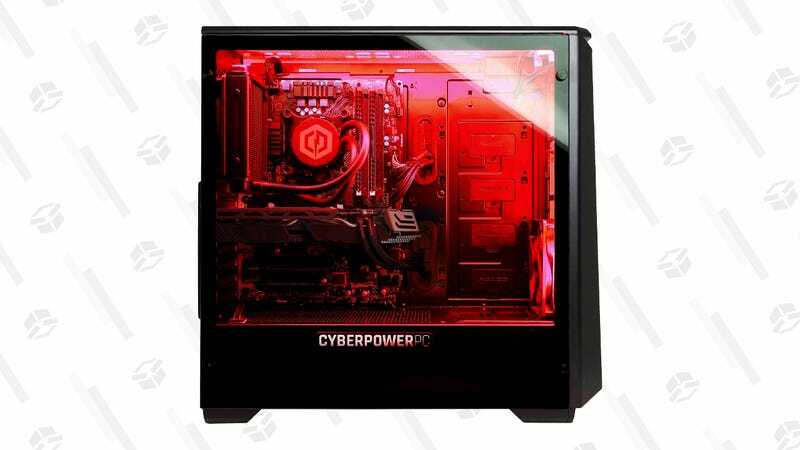 This CyberPowerPC SLC9108W tower offers a ton for a relatively low price. It packs AMD Ryzen 7 processor, a Radeon RX 590 graphics card, 240GB SSD and 2TB HDD for storage, and 16GB of RAM. Of course it glows, too. At $1,050 it’s a solid price, plus it comes pre-built which means more time to click heads in Overwatch.